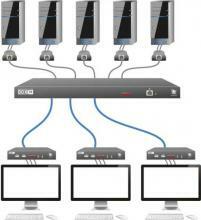 A DVI Extender, a USB Extender, a DVI Switch, a USB Switch, plus Audio and RS232 all rolled into one DVI KVM Matrix. 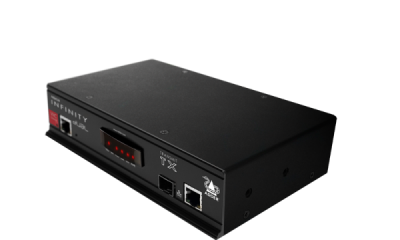 The AdderLink INFINITY High Performance KVM Matrix system provides the pixel perfect solution. 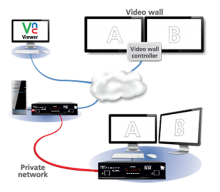 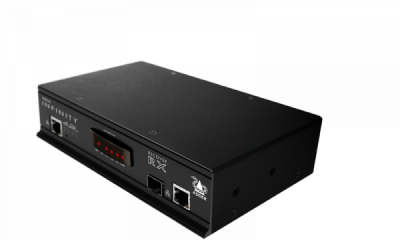 Adder have changed the way KVM is perceived by using standard networking systems as the core infrastructure. 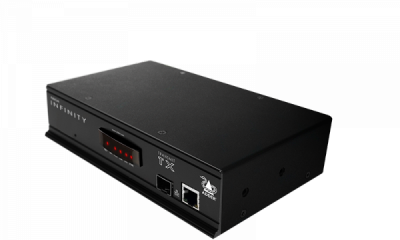 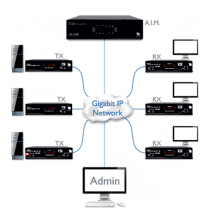 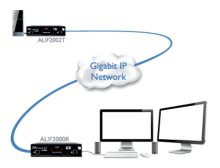 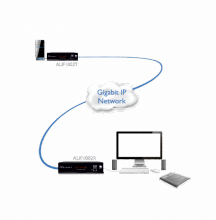 Modern high speed networks provide 24/7 reliability via standard Gigabit IP.Locate computers anywhere required, share connections, multicast HD video to limitless DVI/USB user stations with no distance limitations. 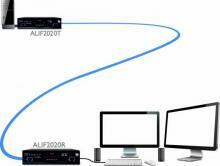 Benefit from super fast switch times, ultra flexible USB support. 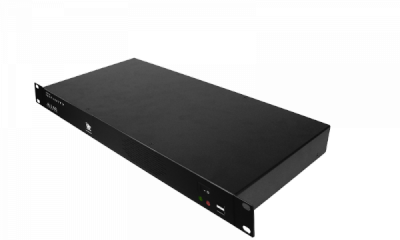 Benefit from Pixel perfect Single and Dual Link DVI Video signals switched and extended, Single and Dual Head DVI Video signals switched and extended, Fast USB 2.0 switched and extended, Bi-directional Audio and RS232 in a totally scalable High Performance DVI KVM Matrix. 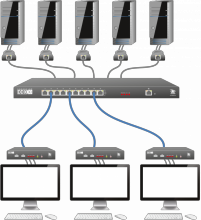 Welcome to the world of High Performance KVM. 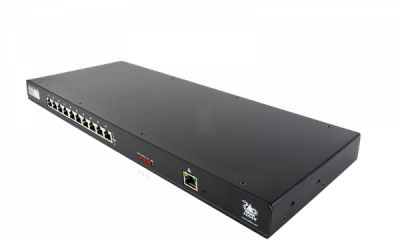 Flexible 10-port KVM matrix switch for DVI/DisplayPort/VGA, USB and audio. 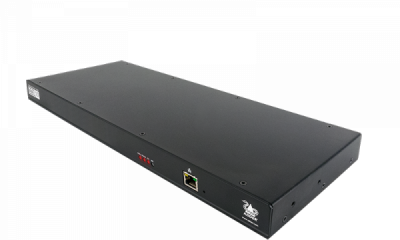 Flexible 30-port KVM matrix switch for DVI/DisplayPort/VGA, USB and audio.